Most people prefer dealing with local people, face-to-face. If you’re in Essex, call me now to arrange an appointment. I’m based in Basildon, and can often provide a same-day service. I’ll arrange to visit you in your own home (or business). Don’t forget, I offer free estimates, and many of my services are fixed-price. I’ve had over 25 years experience in keeping my clients happy by providing a great service. You won’t have to unplug everything from your computer, take it to a repair shop, pick it up days later, and have to connect it all up again. I’ll visit you and do all the work for you at your home or business. If it’s better or cheaper for you, I’ll bring it back to my office and do the work here, then bring it back to you and connect it all up to make sure everything is working again for you. If you’re in Basildon or the surrounding areas, this is all included in my prices. If you’re further away, you’ll just pay for any additional travelling time. Life’s too short, and too complicated. Keep things simple. Call me now to arrange an appointment. It gave a number which my wife called and spoke to apple. They said we would need the machine cleaned and also our home network cleansed as anything else connected to the network could be at risk. They advised they could do this wirelessly and gave a price but we were dubious and said we would speak to some other companies. Hence me contacting you. Is this something that you can undertake ? Yes, you’re right to be dubious. It’s very likely a scam and the number you called is the scammers, not Apple. Yes, it’s something I can do. It would be good to see a photo or screen capture of the message that was displayed. Or let me know the number you called to speak to Apple. Even though it’s likely to be a scam, it’s prudent to get things checked out and I’d be happy to do it for you. 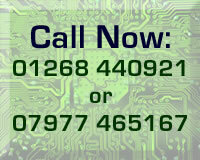 Would you like to phone me on the number on the webpage and we can discuss it please.